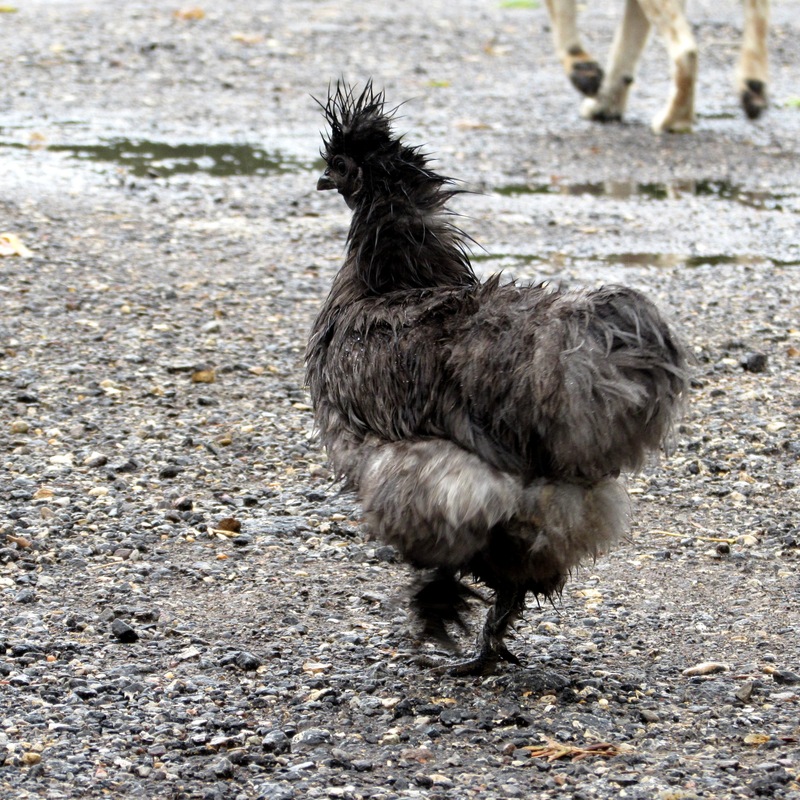 It’s raining, it’s pouring…..the Silkies are mourning! Their feathers are drenched, what a dreadful pinch, and they won’t be dry in the morning! Bless her heart, and we are supposed to get around 3 inches tomorrow. Thank goodness for a warm, dry home and a covered coop!